Yes. You’re reading this correctly. This is a post about fall colours in January. These were all shot on slide film which I had to send out for developing, and to be honest, I forgot about them for a couple months. Fujichrome Velvia 50 is a film I’ve only tried one other time back on our trip to PEI in summer 2015. I got the exposure wrong and quickly learned how unforgiving this slide film can be. Slide film is basically a positive – you can hold it up to light and directly view the photos, which is a thing of beauty. (See image to the right). 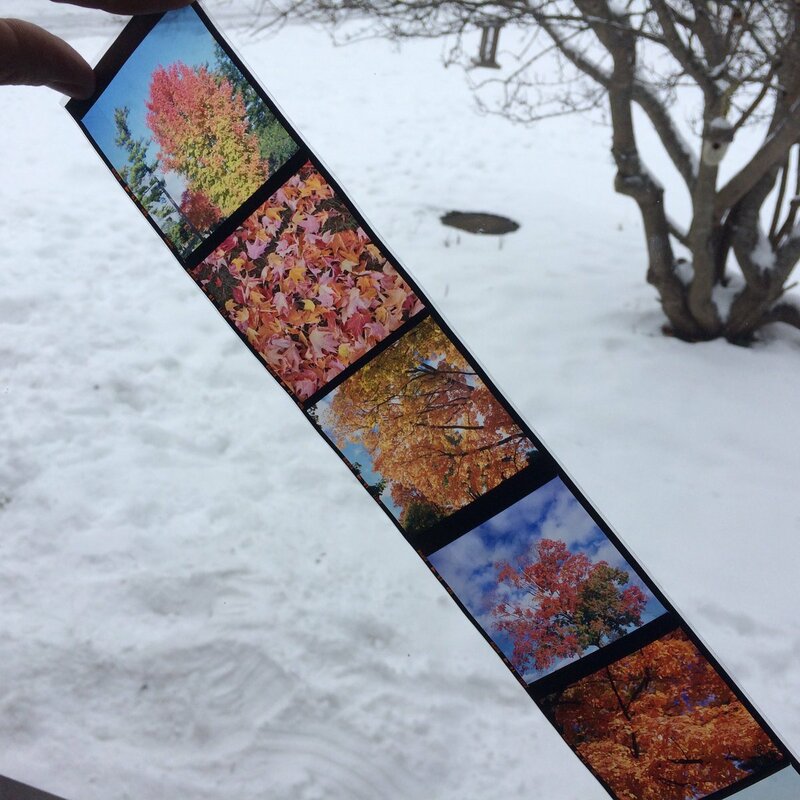 The film is quite expensive and the closest lab to get it developed is Borealis Photo Lab in Montreal. Add up the cost of the film, shipping, and developing and it becomes quite prohibitive to shoot on a regular basis. I bought 2 rolls with specific subjects in mind. The first roll I went out to shoot some fall colours. This film is awesome. After scanning, there was no post-processing done to these at all.